Gardening guest article by Clara Beaufort. 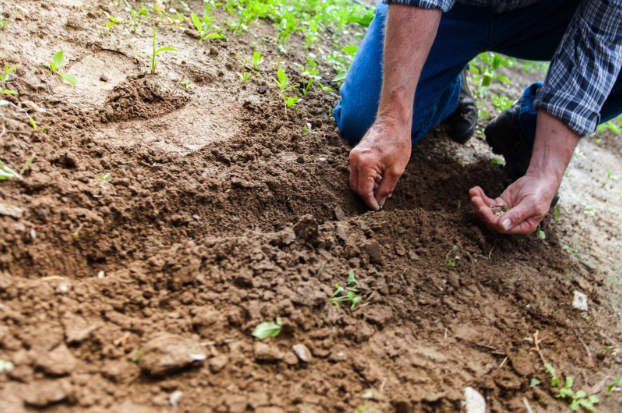 Whether you’re a lifelong green thumb or a complete novice, gardening is one of the best activities to undertake in your senior years. This is because it is healthy for both the mind and body, allowing seniors to remain active in a non-strenuous manner while enjoying the mental health benefits of nature. Gardening has also been linked with a 36 percent reduction in dementia risk, and the benefits can be reaped with as little as 2.5 hours of it a week. However, it is important to make sure that it is practiced in a safe and accessible way, taking into consideration mobility problems suffered by seniors such as weak joints, lack of flexibility, or poor balance. Doing this doesn’t have to be expensive, and it can be achieved in a budget-friendly way that maximizes the enjoyment and health benefits of gardening. 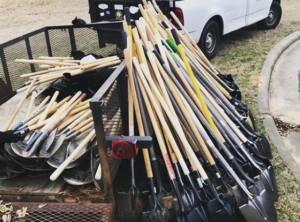 Gardeners.com recommends seniors invest in well-made, light, and ergonomic gardening tools that make the work easier for them. Opt for anything that saves unnecessary drudge work, such as irrigation systems that keep you from carrying hoses or a good garden cart. High-quality gardening supplies can be expensive, so make sure you are saving on these wherever possible. Online shopping is a great tool for this, allowing you to see any deals and coupons available with little to no effort. For example, if you’re shopping at Lowe’s look for moneyback offers and take advantage of clearance sales to help save money. There are small things you can do to make your gardening work easier on your back and joints. For example, you can make your yard more accessible by using raised flower beds and prioritize container gardening so you don’t have to bend over while you are tending your plants. You can also focus on plants that are generally low-maintenance, such as perennials, drought-resistant plants, and native plants that naturally grow well in your environment. Not only will this make it easier for you, but more efficient gardening means fewer water costs, which helps both your wallet and the environment. Seniors should garden because it’s fun, not because they have to deal with stressful maintenance. You can make the whole process easier on yourself by hiring help for the parts you don’t enjoy. Take mowing the lawn, for instance. Having a beautifully maintained lawn has many health, social, and even environmental benefits, and yet few people rank it as one of their favorite gardening activities. So why not get someone else to do it? Although this may initially seem expensive, it can actually be the more cost-effective solution if you don’t already have the equipment. A calculation by Your Green Pal has established that hiring someone to mow your lawn for a year saves you about $270 compared to buying all the necessary equipment, and it would take seven years of mowing to recoup your costs — that’s a lot of hassle you can save yourself while also paying less. It’s not just the strain of physical activity you have to watch out for. People do most of their gardening during the spring and summer, on hot, sunny days perfect for enjoying the outdoors. However, seniors should remember to protect themselves from sunburn, dehydration, and heatstroke if they are going to be outside gardening in the sun for several hours. With these tips in mind, you are ready to start making the most out of your yard during your senior years. 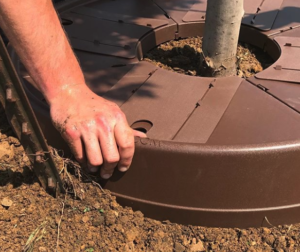 As long as you stay safe, plant efficiently, and keep your costs in mind, you will be able to enjoy the benefits of gardening for years to come. Best of all, you will get to watch as your garden grows into a beautiful, relaxing, and accessible space.